Hair Straightener Brush Just $17.99! Down From $50! You are here: Home / Great Deals / Amazon Deals / Hair Straightener Brush Just $17.99! Down From $50! Score this Hair Straightener Brush at Amazon for just $17.99 down from $49.99 PLUS FREE shipping with Amazon Prime or for orders $25 or more! 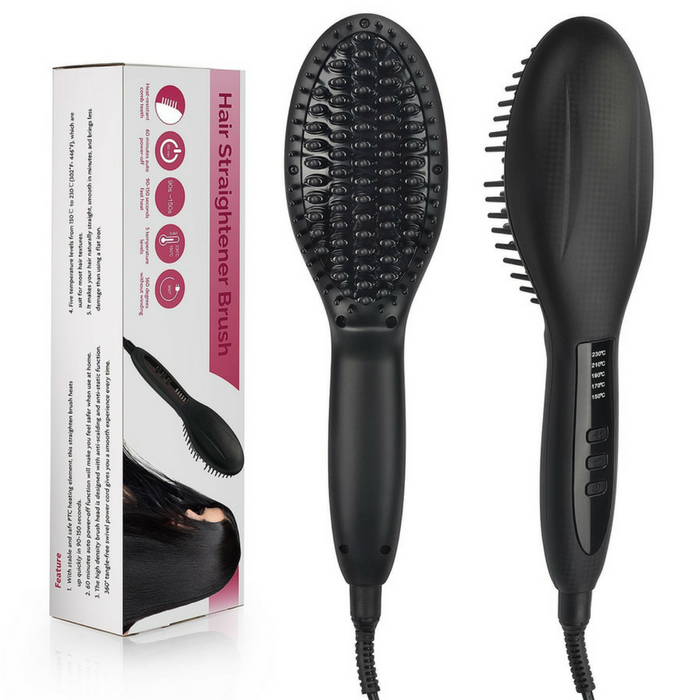 he high density brush head is designed with anti-scalding and anti-static function. 360 degree swivel cord gives you a smooth experience every time. Temperature lock and auto shut off function for security. Temperature lock function can avoid accidentally changing the temperature. 60 minutes auto power-off function will make you feel safer when use at home. Gives your hair a smooth, silky, natural lustrous look- reduces frizziness, split and knotting ends. Making your hair naturally straight, smooth in minutes, and bring less damage than traditional hair straightener.